360° Design to offer Runners a New Generation Ultra Technical Sock. 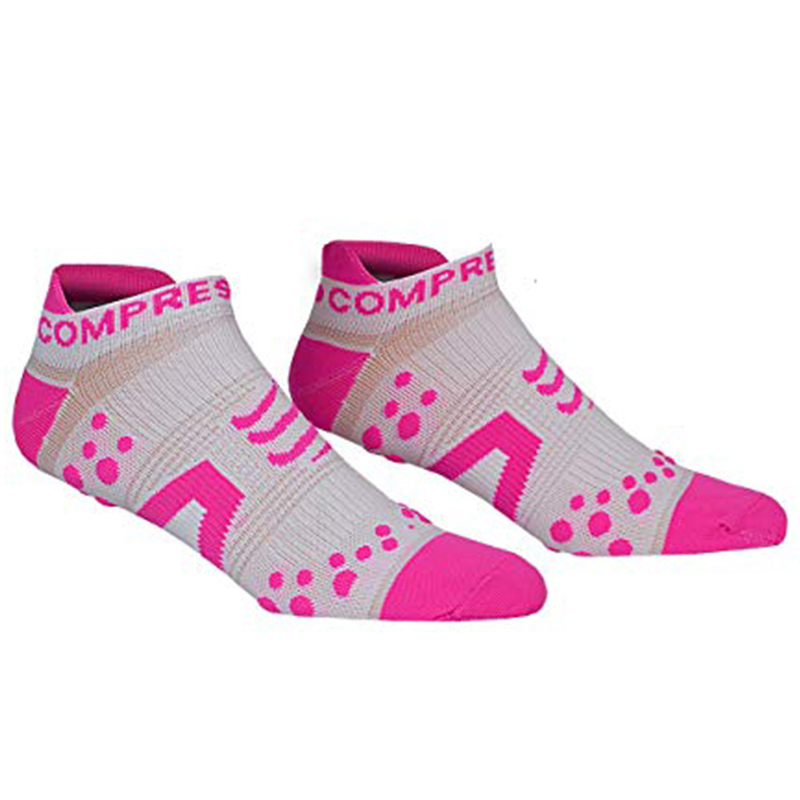 Extremely light and exceptionally invigorating, the Compressport Run Sock Low Cut acts both on posture hold and activation of microcirculation. Its wide and ergonomic toe piece, the stimulation of the arch of the foot, the 3D dots and the multi-compressive fibres will give you aggression and comfort during effort. The 3D dots also offer you a second-to-none shock-proof/breathing combination namely at the malleolus and Achilles tendon. Water is not stored in the protective cushions which guarantees you dry feet. The silver ion treatment is a bonus against perspiration and the spreading of bacteria. Your Run Sock Low Cuts are guaranteed for 2 years and are 100% European Made. Extra Low Cut Design makes the sock almost invisible once the shoe is put on. Seamless and without elastic, the upper part of the sock does not compress the calf/ankle, thus relieving the pressure in that area. New mesh areas have been added around the ankle, the top of the foot and the toe box to give an even greater feeling of lightness and comfort. These ventilation zones make the socks more breathable, by removing the humidity and moisture quicker. The foot will not overheat and thus prevent blisters. The new pyramidal shape of the Arch Support makes it more ergonomic and efficient. While keeping the same tension, the new ventilation areas around the Archstim will make it more breathable and comfortable.